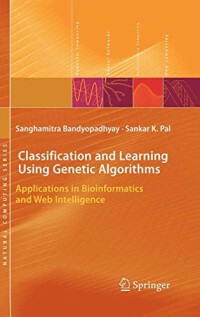 Genetic algorithms (GAs) are randomized search and optimization techniques guided by the principles of evolution and natural genetics; they have a large amount of implicit parallelism. GAs perform multimodal search in complex landscapes and provide near-optimal solutions for objective or tness func tion of an optimization problem. They have applications in elds as diverse as pattern recognition, image processing, neural networks, machine learning, jobshop scheduling and VLSI design, to mention just a few. cantly powerful search capa bility of GAs for multiobjective optimization, leading to the development of several algorithms belonging to the class of multiobjective genetic algorithms (MOGAs).